James H. “Jim” Clendening, age 79 of Cottontown, passed away on November 6, 2017. He is survived by his wife of 47 years, Linda Clendening, his children, Melissa Grona, Randy Clendening, Angie Robertson and Cindy Clendening; ten grandchildren, and six great-grandchildren. 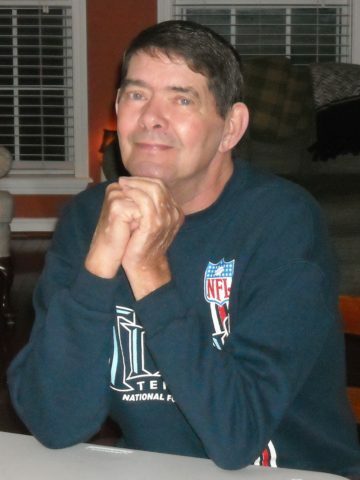 Jim worked for a number of years in sales, he enjoyed sports, and loved watching the Tennessee Titans. A celebration of life will be on Friday November 10, at 2pm at Cole & Garrett Funeral Home, White House. Visitation will be on Thursday from 5-8 pm, and on Friday from 12 Noon until service time. In lieu of flowers, donations my be made to the charity or church of your discretion. We are so sorry, Sheila. Would I have met your aunt Linda? Seems familiar.